Well, in Hollywood, anything's possible. What you've pointed out makes all the sense in the world and I'm inclined to agree that we've seen the last of Eastwood holding a .44 Magnum or mounting a horse. Well, hey, we've got lots of films to look back on; 5 Dirty Harry's as well as other police-related movies and 10 western films. There's roughly 8 seasons of Rawhide, too! I threw in Two Mules For Sister Sara over the weekend and only had time to watch about half but like Pale Rider recently, am finding myself enjoying this western I otherwise discarded up until recently. Funny what time can do to one's opinion. Ya you are right about that Jed! I also like Two Mules much better now than I did several yrs ago. I watched True Crime last night and didnt think it was really a great movie but decent. 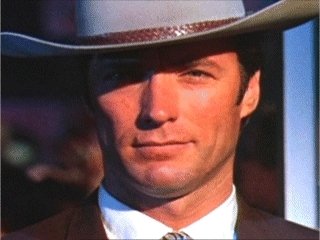 And I didnt think it was one of Eastwood's best performances. But I plan on watching it several more times and I think I will like it much better the more I watch it. I've recently developed a new appreciation for my least favorite Eastwood westerns but Two Mules is at the bottom of the list. I'm going to watch it again sometime but don't see it ever ranking higher than number ten because I enjoy the other nine much more. It's not that it's a horrible western, just not as good as his others. I enjoyed with my wife when it came out and then a handful of years later watched it with a few friends. There were 4 or 5 of us and only a couple of us had seen it before. The ones that hadn't enjoyed it very much and it was fun seeing it with them. It made the experience more enjoyable than watching it alone. By comparison, I think I'd rank True Crime with Blood Work and Trouble With The Curve; both are good because of Eastwood's involvement - great just seeing him acting but fortunately there's other recent films that are better such as Million Dollar Baby and Gran Torino. Getting back on topic, I do wish the Dirty Harry concept I came up with would come to pass. I think it would work and could even spawn sequels. As I'm not a screenwriter, I'm not able to undertake such a project. If there's anybody out there interested, though, with screenwriting/screenplay experience I'd be curious to know his/her thoughts and would even collaborate if that were an option. I get a kick out of the end of A Fistful Of Dollars where Clint says to Ramon, "Go ahead, load up and shoot." Reminds me of "Go ahead, make my day." Don't worry, it probably won't happen. Still, in the manner I proposed, I'd love to see it happen. ...saw the final Kill Bill "five-point-palm-exploding-heart technique" scene a couple weeks ago, and more convinced than ever that Tarantino could create a last great Dirty Harry role, using the ironies and legacy of Eastwood's characters as he did with Carradine. It even has Morricone-like Spanish music in the background. Anyone who could film that scene could create another old-school Eastwood role. And if so, why not have it be Harry? ...thought an interesting angle for Scott Eastwood would be have him already a San Francisco cop, Harry's son, but they met years ago so you don't have to waste a lot of time on backstory and meeting and whatnot, just have it come out in the course of the story. It's not like a new audience would care, and the old audience can probably live with Harry having a son he didn't know about who shows up later, except those who oppose the idea all together. That way it can just be today, and the story can take whatever shape they want...allowing another take on the violence and whatnot if he sees it differently now, using the character of his son. Not something goofy, a smart and funny take on the genre as Tarantino does so well. But with the gold mine of Eastwood and his legacy from which to draw...like Coppola and Brando, or the aforementioned Tarantino/Carradine. I agree, this could definitely work. Are we suggesting an offspring from Harry's rather attractive neighbour in Magnum Force.. It's in the eye of the beholder Perry..
To paraphrase Eastwood from The Dead Pool, "Well, personally I think having a Chinese American on the force is good for the department's image." ^ No cigar for you. The actress (Adele Yoshioka) is Japanese-American. On the other hand, Evan C. Kim, who played "Al Quan" in The Dead Pool, isn't Chinese-American either ... he is of Korean ancestry. It's a good thing I don't smoke. Well, Kim was obviously playing the part of an Asian American. As for Yoshioka, I guess I should've said 'Asian American' instead. Details are not critical here. She sure made my day. If not a result of that pairing, definitely along those lines. Seems in keeping with the character to think there could've been a woman he got pregnant and never knew about. Maybe because she knew Harry's reputation and attitude and feared the boy being like his father. Or maybe knew he was no man for such a relationship or for being a father (at least by her estimation) because he only loved his job...but she gave her son the last name Callahan so he had some identity (and so, y'know, the whole father/son thing works well in the film). And before she died told him who his father was, but he was already on his way to being just like him, and/or in that phase where the ways they're most different in their extreme individuality is the way that makes them most the same (and thus the way they drive each other nuts...or something less annoying). Of maybe his son is half cyborg and only he can stop the takeover of the world by a master race of computers...or so we thought until Harry ends it with his .44 (and/or a giant laser cannon), with lots of overblown CGI images of the world being destroyed in Apocalyptic chaos because there just aren't enough of those films. Just make sure the Statue of Liberty is in it Whistledixie because that has ALWAYS been the true signal of an apocalypse. 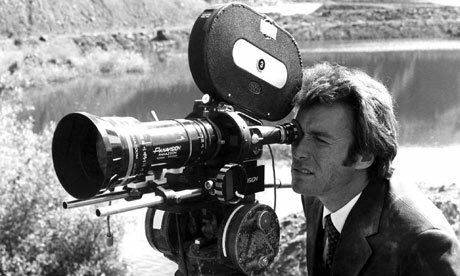 Clint Eastwood's words of wisdom: "Take your profession seriously; don't take yourself seriously. Don't take yourself seriously in the process, because you really only matter to a certain degree in the whole circus out here." Yeah, definitely. Could start with a device detonated in the harbor by the Statue of Liberty that shows the obligatory destructive of it and Manhattan with a giant wave, then the bad guys threaten to do the same to other cities that have large bodies of water by them if their demands aren’t met: L.A., San Francisco, Chicago...not sure the Potomac would be enough to flood DC, but maybe they have a traditional device for use there. Don't know why they wouldn't just use such a device against the other cities, except then a CGI wave couldn't destroy the Statue of Liberty, etc...and waves seem especially appropriate for apocalyptic destruction, though obviously there'd have to be explosions and other assorted mayhem. Thanks for posting, Smitty1993, and welcome to the Board. We had a member here for many years who was a big fan of William Fichtner. She also thought he looked like Clint, though some of us couldn't see it. The audience would probably be open to Scott in the role but he is only 28. Needs about 15 more years of chiseling before attempting that role.